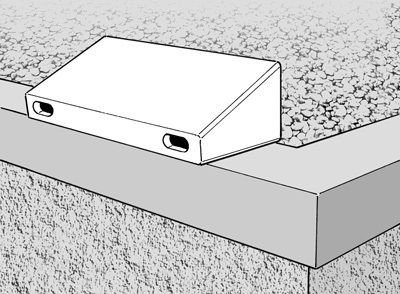 The knee-wall box has been designed for installation in roofs (so-called knee walls), but over the years has proven useful in many other installation sites. 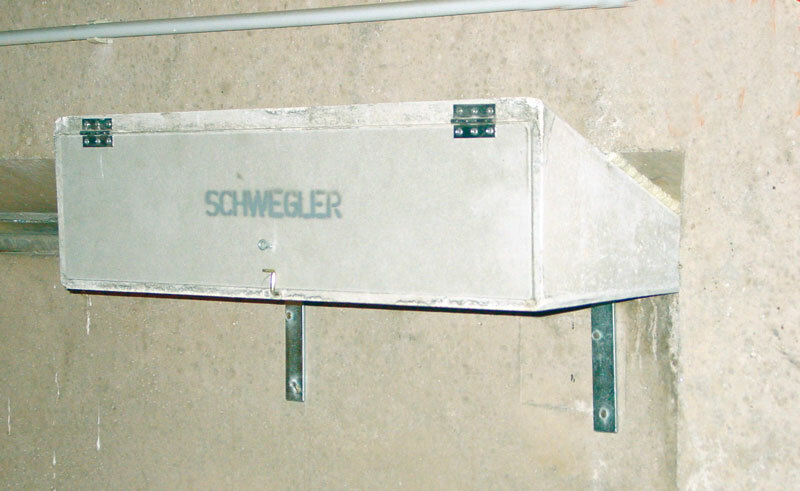 It fits exactly into the ventilation openings of the former prefab concrete buildings, found all over former East Germany. Other installation examples are inside the building (knee wall, roof) with the help of the brackets supplied. 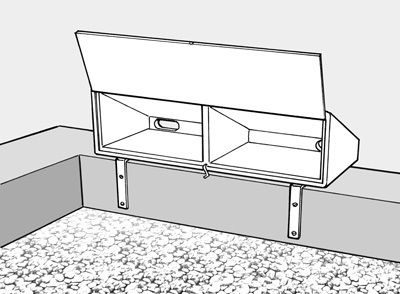 The Swift can reach the box through existing ventilation openings or appropriate openings in the building. 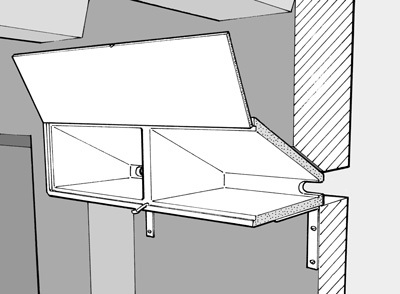 The box can also be installed on the outside of buildings (on flat roofs, under eaves, on the attic), provided there is a “sheer drop” below the entrance (please do not install set back from the external wall). 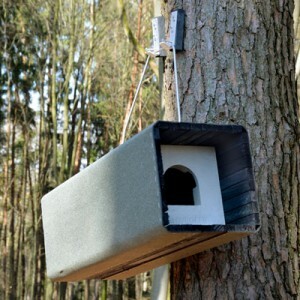 Free installation on the external wall is also possible (it is possible that the cleaning flap can then no longer be opened, but this is often not a problem if the box is occupied by Swifts). 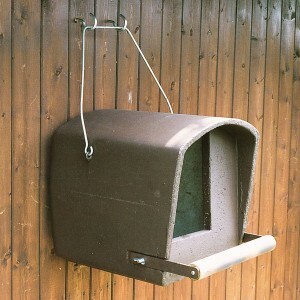 Material: SCHWEGLER wood-concrete, zinc-plated fixing bracket. Colour: The box is supplied in natural grey and if necessary can be coated with breathable façade paint in the required colour. 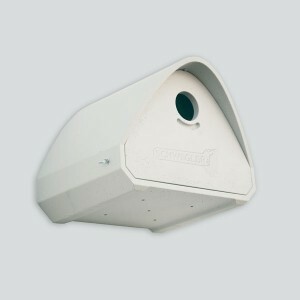 External dimensions: W 68 x H 20 x D 30 cm. 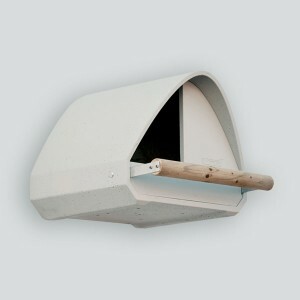 Brooding: space 2 separate brood chambers. Weight: approx. 14 kg (incl. fixing brackets). 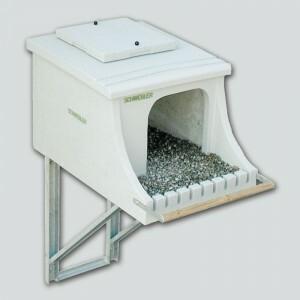 Includes: Wedge-shaped box, including fixing bracket, screws and plugs.